and ants. 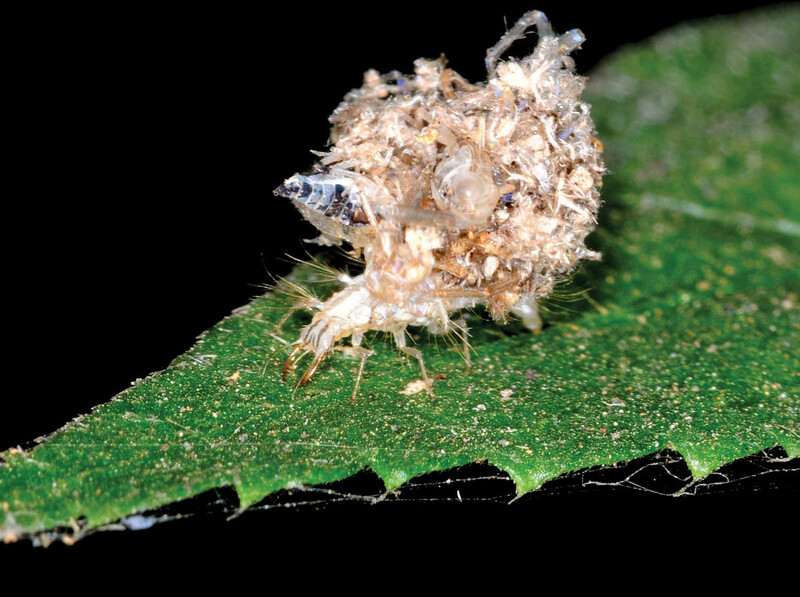 The larvae move with this collected debris and even pupate within it to emerge as a delicate, mosquito-like insect which largely feeds on nectar, pollen and yes, even aphids. derived from the solitary lifestyle of a hermit. It has a soft, twisted vulnerable stomach which needs to be protected; and it uses the empty shells of snails to live in, till they outgrow it and search for a bigger one. Interestingly, property demand is high among the species, so when one crab abandons a shell, a long queue of other hermits waits in place to claim it. 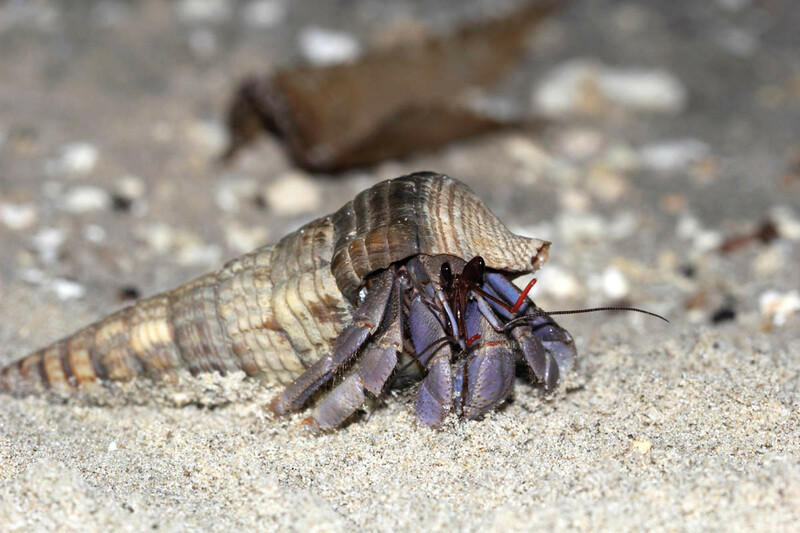 There are about 1,000 species of hermit crabs reported, and some of them use rock and stone shells as well. 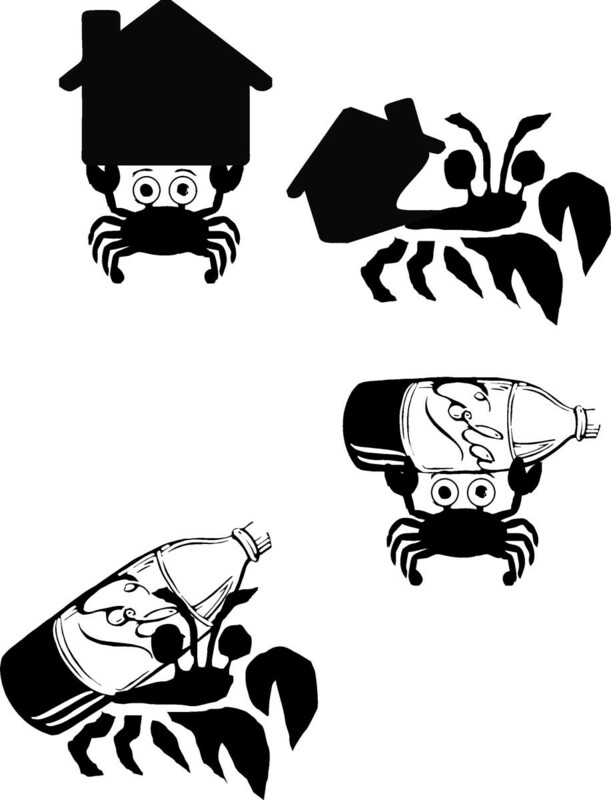 These days, due to marine pollution, the crabs have also started to use plastic bottles, boxes and other waste as their ‘home’. 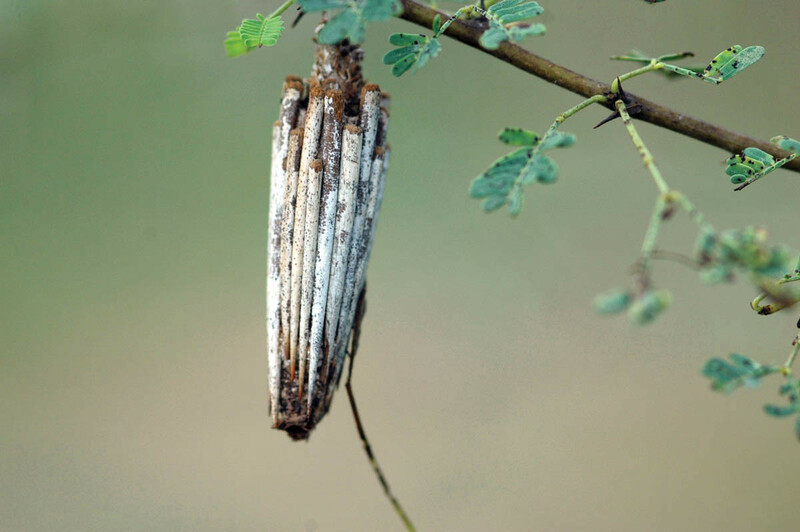 Caterpillars of moths belonging to Family: Psychidae, gather material around them to construct bags or cases for protection. lichen, sand, and other available plant matter used as construction material, which is spun into silk. These bags, with the creatures inside, are attached to plants or any other substratum. 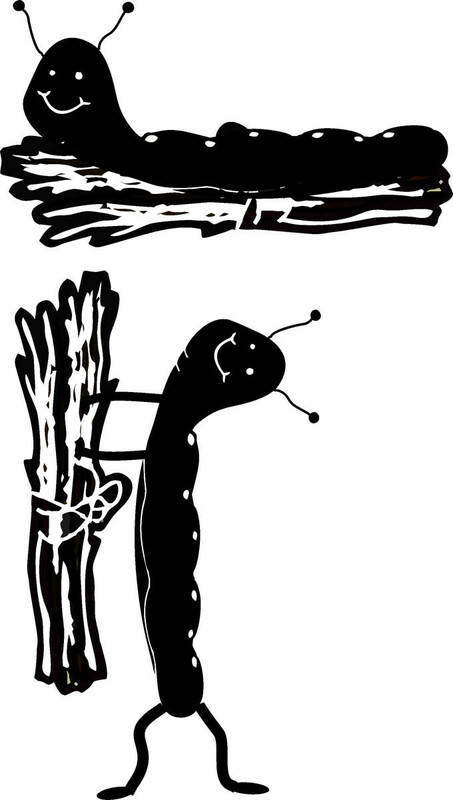 The larvae extends its head, thorax and some legs out of the bag as it goes along feeding on the leaves of its host plant. The moment it senses any threat, it retreats into the bag and simply detaches itself from the hanging point to mix with the leaf-litter below. Thanks to these bags, they have a natural camouflage from their predators. Only the adult male moths leave their bags; the female moths rarely leave theirs, even mating and laying eggs within the same case. 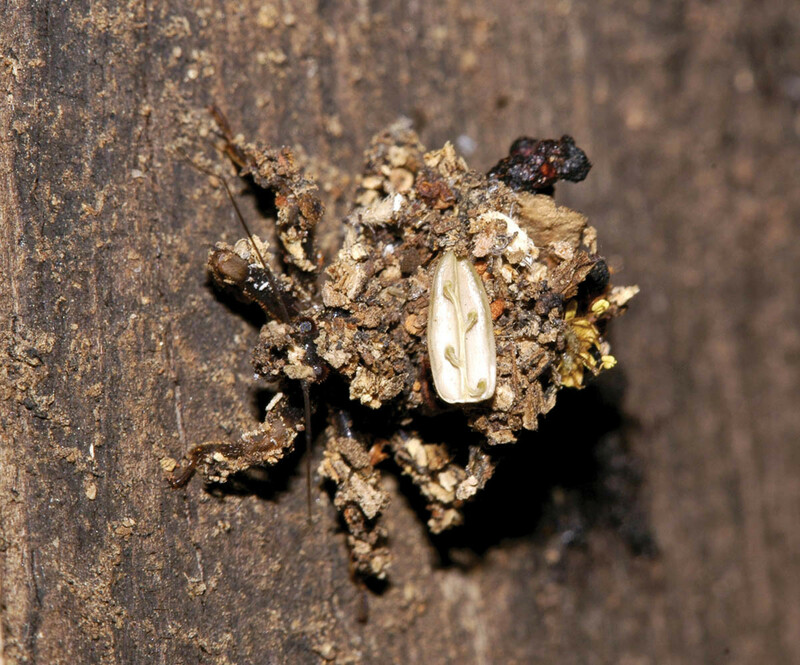 debris from its surrounding to help it in crypsis or camouflage. Dark in colour, the nymphs use their hind legs to construct the cryptic layers around its body. 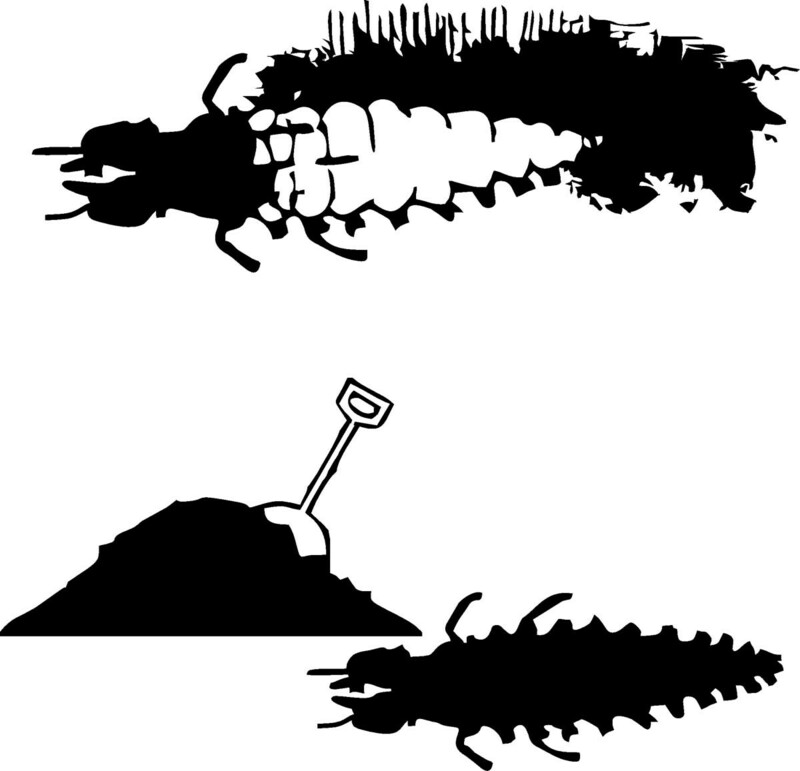 The inner layer consists of fine particles while the outer layer is made up of coarser stuff, which often includes remnants of its prey as well. This camouflage assists the creature in avoiding detection by its predators and possible prey. 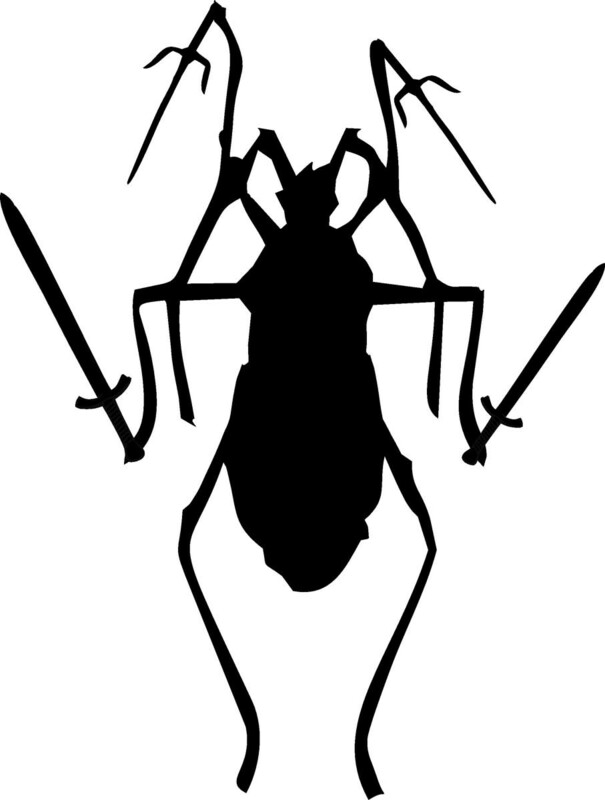 Both the nymphs and adults are voracious predators of other creatures, mainly other invertebrates that they kill by piercing their bodies with their sucking mouthparts.